Come dip your toe into some mud run fun. Saturday, May 18. 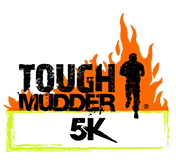 Although the Classic Tough Mudder covers 8-10 miles and 25 obstacles, as a mud run virgin, I’m suggesting the 5K version, which covers 3 miles and includes 13 obstacles. Pricing will range between approximately $60 for an immediate commitment to around $100 for a commitment closer to the event date or that includes lunch, parking and extra beer. A minimum of 10 people makes us a team, which brings a few benefits. The race takes place on the grounds of Cedar Lake Cellars, near Wright City (about 45 miles west of STL). Note your interest on the sign-up sheet at the gym. If it looks like we can register as a team, I’ll be in touch with those registration details. For more information, http://www.toughmudder.com. Hope you are up for some sloppy fun. ← CFKW Apparel Is Here!